Wonder how they divided their $300 million fortune? 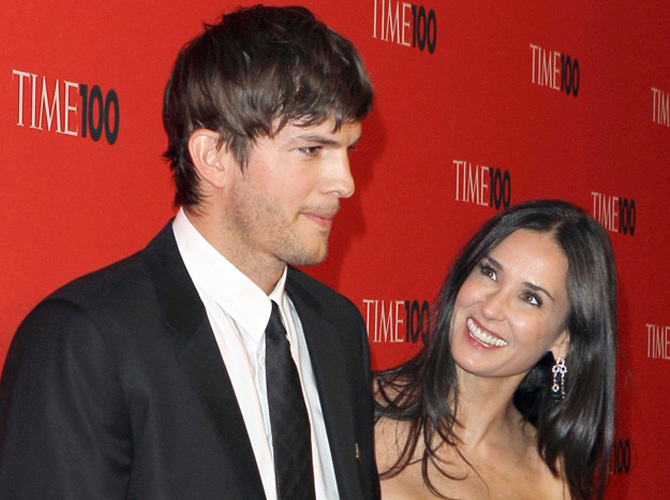 Ashton Kutcher and Demi Moore are officially divorced. The former couple, who split in November 2011 amid claims the No Strings Attached star enjoyed a fling with student Sara Leal, 23, in San Diego on his sixth wedding anniversary, had their marriage formally dissolved by a judge in Los Angeles on Tuesday morning, November 26, after coming to an agreement and signing their divorce papers last month. A source told People.com that Ashton's lawyer filed documents that finally ended his marriage to Demi, 51, whom he wed in 2005. The 35-year-old actor filed for divorce in December 2012 but it dragged on because they were reportedly at odds over how to divide their assets and $300 million fortune. Meanwhile, rumors are circulating that Ashton is expecting his first child with his That 70s Show co-star Mila Kunis! Common friends of the couple have predicted that the two would get engaged soon, as soon as Ashton's divorce was finalized. So now that it is, can we expect this soon?